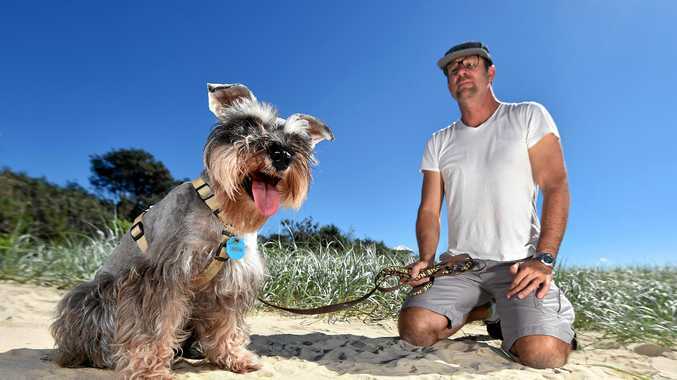 VINCE Della Croce's beloved dog Harvee was lucky to escape without serious injury after being caught in a fox trap at Mudjimba Beach. Little Harvee stepped in a "nasty" trap buried in the sand and was snared. 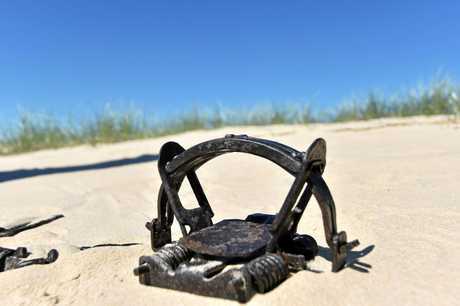 Unable to get the trap free, Mr Della Croce had to yank it out of the sand and rush his pet to the vet with the device still hanging from her limb. "I couldn't get it off her, amazing she didn't break her leg," he said. 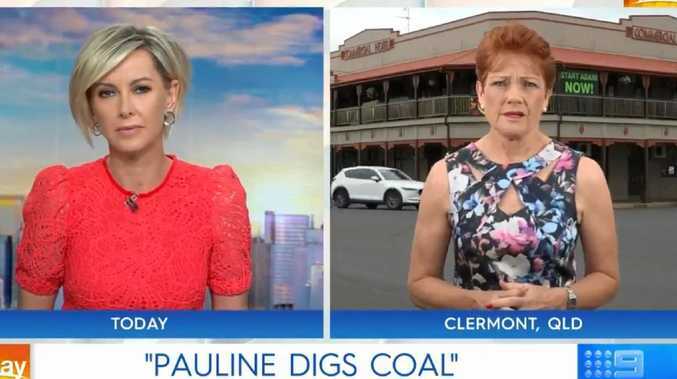 "It must have been so painful for her, I sustained a few bites from her just trying to get it off." Sunshine Coast Council and the Queensland Parks and Wildlife Service work together to carry out the coastal fox control program, to help protect native wildlife. A council spokesperson say the traps had removed more than 100 foxes in three years. The program was designed to control fox breeding activity and reduce fox predation on native species such as the vulnerable water mouse, ground parrots and endangered loggerhead turtles at the egg and hatchling stage. However, Mr Della Croce said he would like to see signage indicating the type of traps used. "I saw the signs and assumed they were small cage-like traps for possums, not nasty traps," he said. "A five- or six-year-old wouldn't be able to read those signs, what if they got caught? Even adults could stand in it. "I've lived here for 27 years and surf most days but I've never seen a fox." 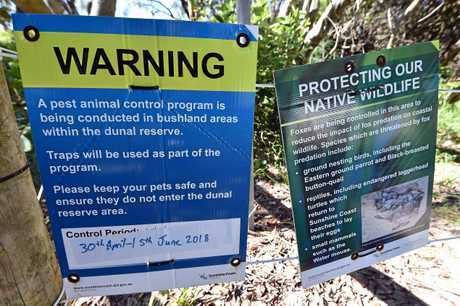 Council maintained nearby residents were notified and warning signage and information was placed at all nearby beach access points to ensure dog owners were aware and would not let their dogs roam into the dunal area. "The soft catch traps used in the program are located away from public pathways, roadsides, property boundary fences and off-leash areas within the dunal area," the spokesperson said. "Signage is also placed in the immediate vicinity of the trap. 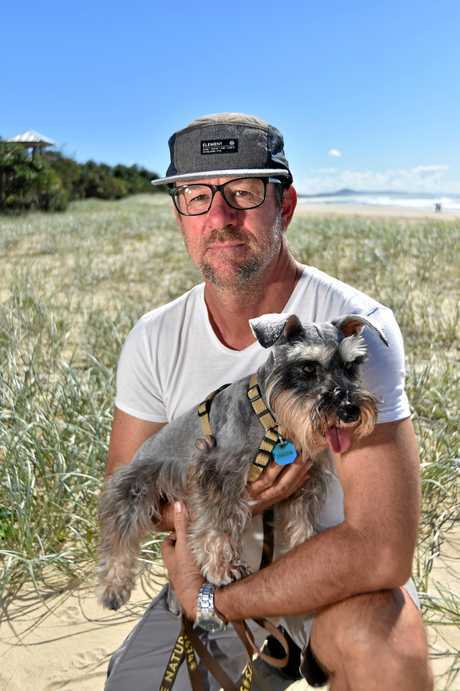 "The coastal fox control program was developed with significant input and support from Coolum and North Shore Coast Care, Biosecurity Queensland and QPWS. "The program will run until June 2018."